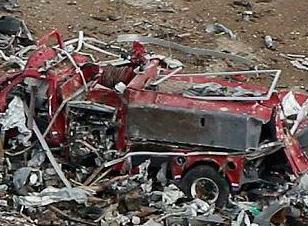 Several devastating tornadoes hit OK including an EF-5 tornado in Moore in May. Over 5,000 homes were destroyed as well as schools, a hospital, and many businesses. 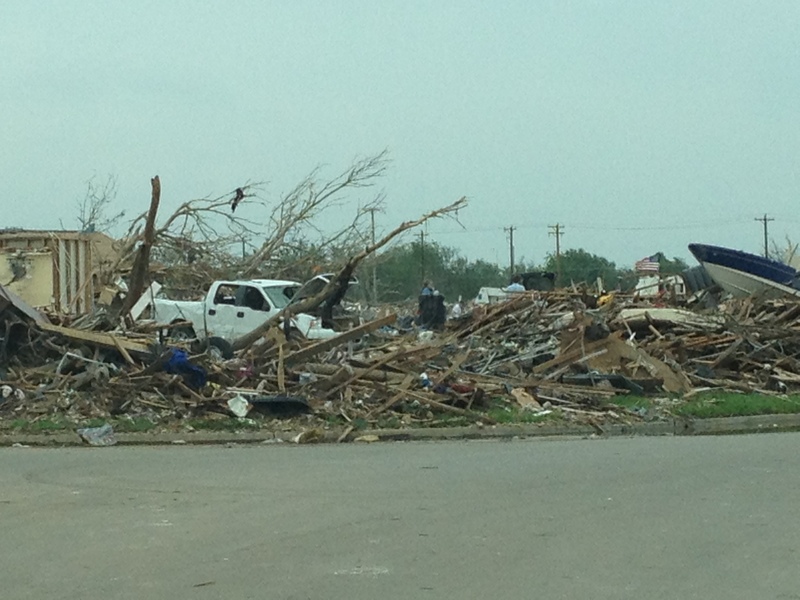 The PCA churches in OK and the RUF Campus Ministers are leading the response effort. Together with MNA, they have hired a coordinator and are looking for places to house volunteers. In addition to debris cleanup and counseling, they will be offering Sheds of Hope to those affected to store whatever they were able to salvage or accumulate since the disaster. 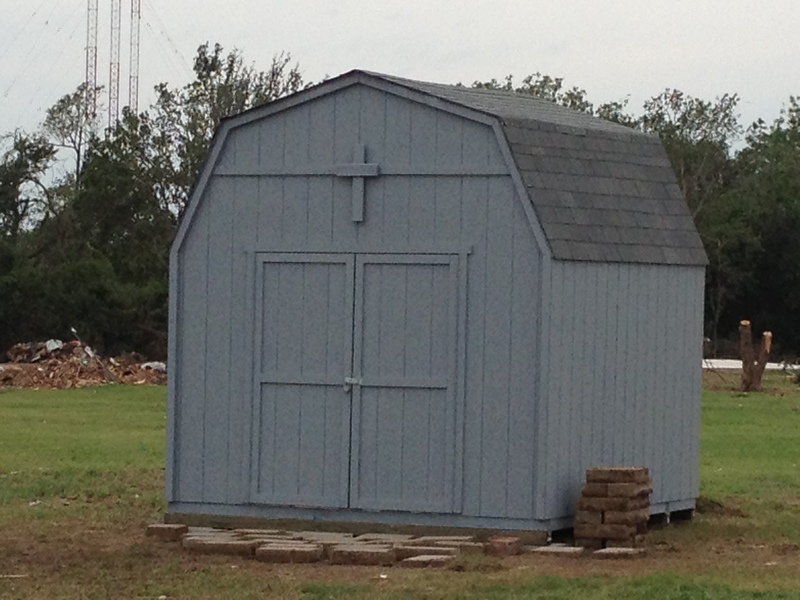 Check it out on Facebook at Sheds of Hope – Oklahoma Tornado Relief or at http://www.shedsofhope.com How can you help? Pray, give, go! Pray for God’s hand in the response. Donate cash and volunteer at http://www.pcamna.org. Please no non-cash donations unless specifically requested. We are still supporting Redeemer PCA, Waco, in sponsoring at least 3 families in West, TX. They are taking the lead to help with appliances, temporary needs, housing and eventually perhaps rebuilding. They are also counseling the families. I spent several days at the Emergency Operations Center for TX VOAD and meeting with the city council, LTRC and others as well as meeting with Redeemer PCA staff and deacons. If you are interested in supporting this effort, you may send cash donations to Redeemer PCA, 2501 Ritchie Road, Waco, TX 76712. If you’d like to volunteer, contact me and I’ll let you know when volunteer opportunities are available. I was in Granbury on 16-17 May assessing the situation following the devastating tornado, checking with N TX PCA churches on any members/regular attendees who live in that area. We didn’t have any who had any damage. On 18 and 20-21 May, I ran the Assistance Center on behalf of the TX Volunteer Organizations Active in Disaster (VOAD) at the Church of Christ together with the Red Cross rep. The PCA is a member of the National VOAD as well as a member in a number of states. Those affected by the tornadoes could come to the Center to get city permits to get into the area, get temporary financial assistance, food, and other services from many VOAD and local agencies. Granbury was very well organized compared to many other communities. The 48 member Ministerial Alliance has been very active and is taking the lead on meeting unmet needs. Mission Granbury and the Christian Service Center have had on going programs to assist people. Hood County and Granbury are developing a Long-Term Recovery Committee (LTRC) to determine unmet needs and there have been thousands of volunteers helping.. There may be some opportunities there to volunteer in the LTRC. Grace Community PCA sent a team to work cleaning up debris one day and I’m encouraging other churches to do likewise. If someone is interested I can plug them into where ever the volunteer center is currently located. Habitat had built 60 homes, 57 of which sustained damage some total destruction so they are taking the lead to rebuild so that might also be a place where a PCA team could go. I want to give you the latest I have on the tragedy in West, TX. We are in communication with the State Dept. of Emergency Management and other volunteer organizations (VOAD) on a daily basis. Residents have been let into the damaged areas temporarily but not volunteers. No donations of goods, clothes, water, etc., are needed; the city is overwhelmed with in kind donations. However, donations of blood and cash are welcome. Volunteers are not allowed into the area yet and there are many waiting to go in so I don’t think we’ll need volunteers initially. Do not go to West to volunteer unless requested; they are overwhelmed with spontaneous, unaffiliated volunteers which causes more problems for an already overwhelmed small city. The Red Cross and Salvation Army are assisting families with shelter, food and gift cards as are other agencies. Several organizations have sent chaplains and counselors. Also, several agencies have shower trailers and laundries on site so I haven’t offered our shower trailer. A Joint Assistance Center has been established to ensure the needs are met and to avoid duplication of effort. They interviewed over 60 families yesterday. Jeff Hatton, TE, Redeemer PCA, Waco, volunteered as a chaplain and provided counseling with the family of Joey Pustejovsky, a volunteer firefighter and City Clerk, West, TX, who lost his life in the explosion. Joey, who with his wife, Kelly, have 4 children between 4 and 15. Jeff developed a very good relationship with Kelly and the extended family. They are not members at Redeemer but there are members from West as well as members’ relatives who live in West. The city has asked the local churches in the surrounding area (Waco is about 18 miles away) to sponsor families. Redeemer, Waco, would like to sponsor this family. Initially, Redeemer would help with the clean up as the home was badly damaged, help with immediate needs, and eventually help with other unmet needs which may include rebuilding. We are working with MNA to set up an account to handle donations. Do not send in kind donations to Redeemer and please limit your phone calls to them. Call or email me if you need information or have questions.They are inundated with although well meaning calls, they are being overwhelmed as well. Great time at Bay Area PCA, Webster, TX, for 23rd Annual Missions Conference. Gracious hosts, superb speakers! Thanks to the organizers and hosts. Am available to give disaster response presentations at your church, men’s breakfasts, mercy or mission conferences, Sunday School classes, etc. Finished the last of the 27 Sheds of Hope we built in Spicewood TX. Many thanks to all who donated and participated to build the storage sheds for wildfire victims. What a great example of cooperation – PCA churches in N TX and S TX as well as local churches and organizations working together! Give God the glory!